Enables safe waste disposal in different environments through various applications. 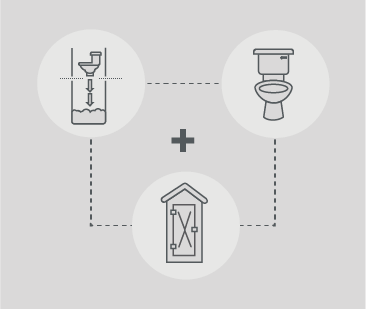 What Sanitation Solution is right for you? The right sanitation solution for you will depend on the type of waste, as well as the desired application and disposal method. JoJo’s wide range of sanitation solutions include septic/conservancy tanks, mobile chemical toilets as well as pit toilets and pedestals, offering solutions to suit various needs and applications. 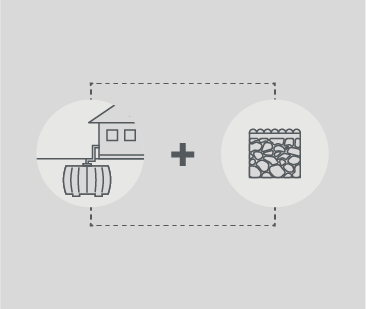 A septic tank is used for the disposal of sewerage only. It brings about the digestion of organic matter and discharges the black water into a French drain to soak away into the ground over time. It requires minimum maintenance, as each component has a specific function and is designed accordingly. As it is chemical-resistant, a conservancy tank is used for the disposal of both black and grey water. 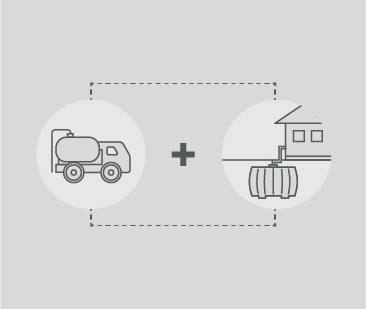 It serves as temporary storage only, requiring the waste to be pumped out whenever the tank is full. This is done by licensed hauling companies who dispose of the waste accordingly. 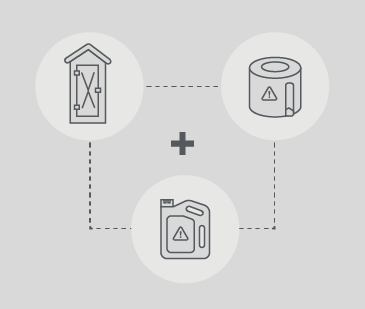 Pit toilets and pedestals are used in areas without regular sewerage removal and limited access to water. This typically includes informal settlements, farms and environmentally sensitive locations. Mobile or Chemical Toilets are ideal for building and construction sites, or any event where a temporary toilet solution is required.